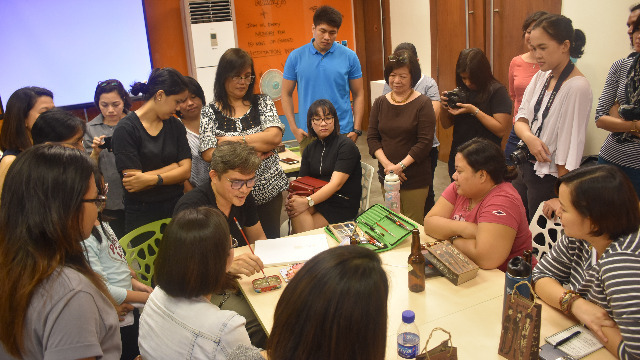 Passionate Pinoy artisans share their advice and experiences with creative entrepreneurs. Whoever said there's no money to be made in arts and crafts obviously did not know about the thriving handmade crafts market in the Philippines. 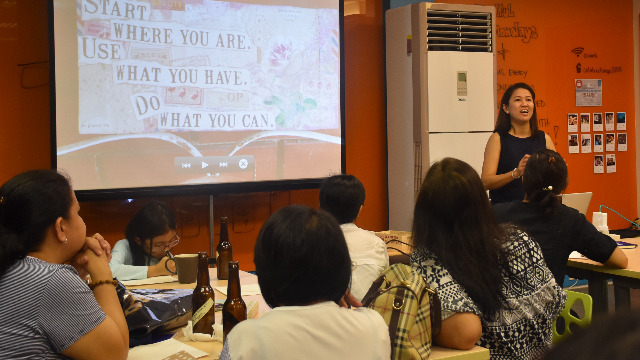 Last November 19, creative entrepreneurs attended Road to Retail: Bringing Your Handmade Business to the Market, the fourth leg of the Growing Your Handmade Business series organized by Craft MNL in partnership with co.lab, Manila Workshops, and Globe myBusiness. 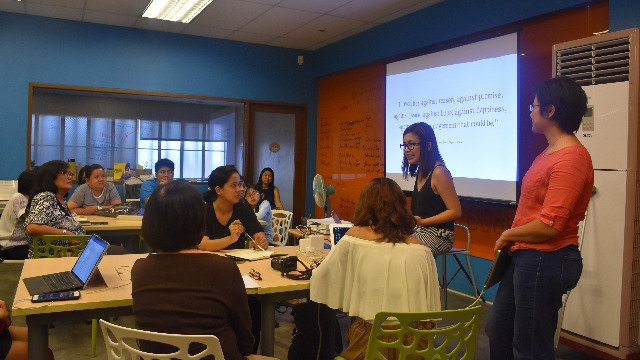 It was held at co.lab xchange in Pasig City, with participants coming from all over the Metro. Similar to previous sessions in the series, experienced speakers shared their stories and personal insights about the business to the class of hopefuls. For Road to Retail, Roma Agsalud of Popjunklove and Common Room and Patsy Paterno of Papemelroti were invited to talk. Agsalud, who has grown to be a pillar of the local arts and crafts community, shared her personal story of starting and building the two ventures she continues to run with her sister Maan: Popjunklove, a handmade crafts and upcycling shop, and Common Room, a craft store housing the works of around 80 local artisans. In her talk, she underlined the importance of a just-do-it attitude as the key to finding one’s place in the industry. Follow the things that excite you, she told the class, because they will show you where your passions lie. But don’t put them on a pedestal, she cautioned, as they might intimidate you and make you too scared to actually do anything to make your dreams into reality. Asgalud likewise stressed the value of failure as a learning experience. Mistakes are inevitable when you’re just starting out, she told the participants. Instead of letting these setbacks discourage you, take into consideration what they have taught you about the business and adjust accordingly. 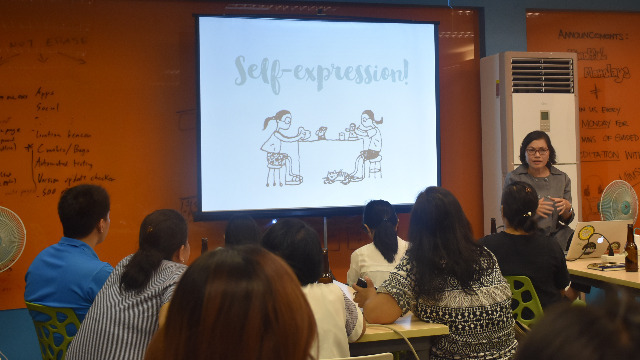 Rounding off her talk, Agsalud imparted some no-nonsense lessons to the class for establishing a handmade crafts business such as knowing your resources and finding accessible platforms, reminding them that it’s easy to overlook the most obvious steps needed to succeed. Paterno, on the other hand, shared a different sort of story: not one of a budding success, but of a 50-year run that has proven itself to be a triumph in creative entrepreneurship. Papemelroti, the popular retail chain specializing in eco-friendly and recycled gifts and decorative accessories, is a family-run business that has already been served by three generations of the Alejandro family. Paterno is the “Pa” of the tongue twister name, with the first syllables of her four younger siblings’ names comprising the rest. To give the class a glimpse of what they can achieve through a deep belief in God as well as an unrelenting passion and drive to create art, Paterno spoke about Papemelroti’s long journey: from its humble beginnings as a small shop in Tomas Morato, to the struggle of creating its own market and niche, to the company’s ongoing mission to help the environment and provide sustainable livelihoods to its artists and workers. Paterno also put under the spotlight certain people employed by Papemelroti. In an effort to support and bolster the community, the company welcomed these local artisans into the fold and worked closely with them to bring their skills and products up to the market's standard. Half a century in, Papelmeroti is still going strong because of the company's determination to nurture the passions of Filipino artists. After Paterno’s talk, the class was treated to a painting demonstration from her brother, award-winning graphic artist Robert Alejandro, who is not only the “Ro” of Papemelroti, but one of its top designers as well. The participants were also given free Papemelroti products to take home, with a lucky two winning one-of-a-kind art books produced by Robert. The session was closed with a creative activity led by mixed-media artist Airees Rondain, who showed the class the vision boards she’d created over the years to get her inspired. She then tasked the participants to make their own vision boards so they better can visualize their goals as creative entrepreneurs. Rondain also shared her own story in the crafts business. Starting with handmade paper invitations, she has since ventured into other media, becoming especially passionate about sustainability and the empowerment of Filipino artisans. Rondain sells her products online, which she realized was easier to manage and gave her more time to focus on doing what she loved most: creating art. She encouraged the class to do the same, telling them how artisans and crafters can effectively get their products out to the right market by using the right platforms. Rondain is part of Digimall, Globe myBusiness’ biggest online bazaar. Powered by Shopify, Digimall features hundreds of online shops, and is the ideal place for creative entrepreneurs who want to set up their own online stores to showcase their unique and beautiful handmade wares. Let your passions lead you and find success by joining Digimall today! Road to Retail was organized with the aim of helping artisans and crafters find a way to bring their products to the market. By exposing them to speakers with years of experience in the business, the participants were taught industry best practices, some established do’s and don’t’s of the handmade crafts business, and most importantly to budding creative entrepreneurs, the right platforms to use for their passions.